I always try to care about those little details that can completely change an outfit. I don´t wear too many accessories but I always try to add that little something something to make the look a bit more put together. Details like bags. clutches, rings or necklaces are the ones I like the most. Today I want to show you an outfit recap paying attention to those details that sometimes we don’t even notice. Hope you like this quick post and find it useful to get some inspiration! Siempre trato de prestarle atención a los pequeños detalles que pueden cambiar un look por completo. Nunca suelo llevar muchos accesorios, pero trato de añadir ese pequeño detalle a mis conjuntos para que sean más elaborados. 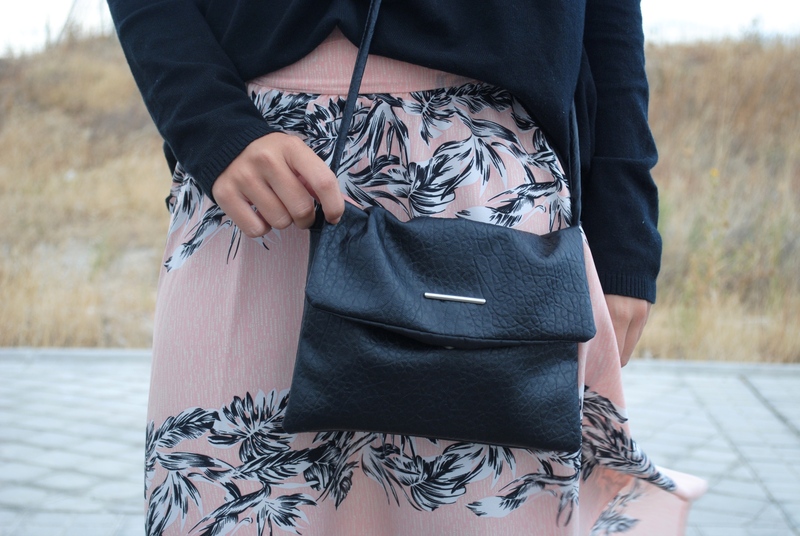 Detalles como los bolsos, las carteras, los anillos o los collares suelen ser mi opción preferida. Hoy quiero enseñaros un recopilación de fotos al detalle de mis looks pasados. ¡Espero que os guste este pequeño post y lo encontréis útil para coger algo de inspiración! Thanks for reading and leaving a comment! Have a great Saturday! Gracias por leerme y dejar un comentario! Que paséis un sábado estupendo! Good morning! I´m not a huge fan of jewelry. I don´t usually wear that much jewelry on a regular base but sometimes I think my outfits need a little something and that little something is a necklace or a bracelet. I love rings but I don´t like wearing big earrings or big bracelets, I don´t think they go with my style. 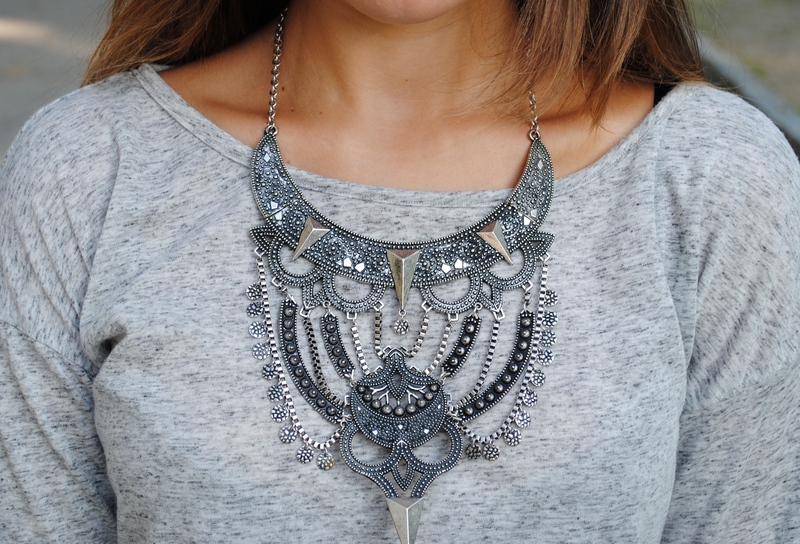 For necklaces I like them to be big and chunky when they´re statement necklaces or thin and dainty for classic pieces. 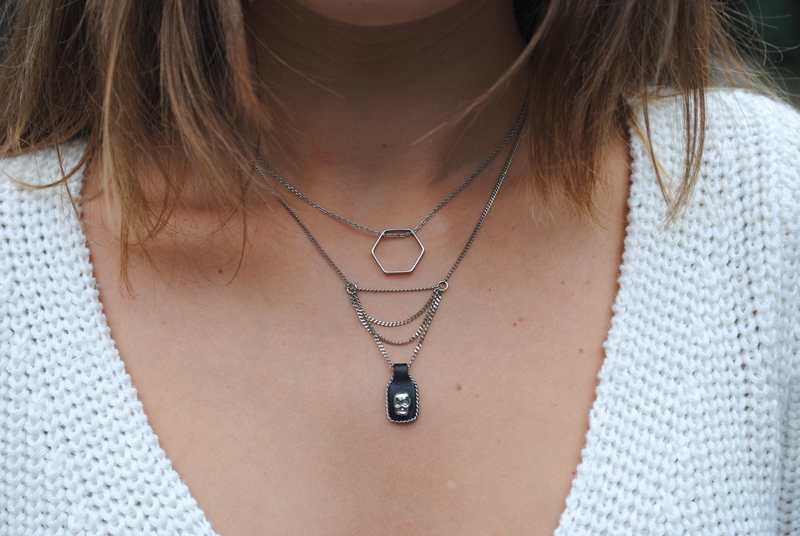 This time I chose three dainty and small necklaces from Primark. 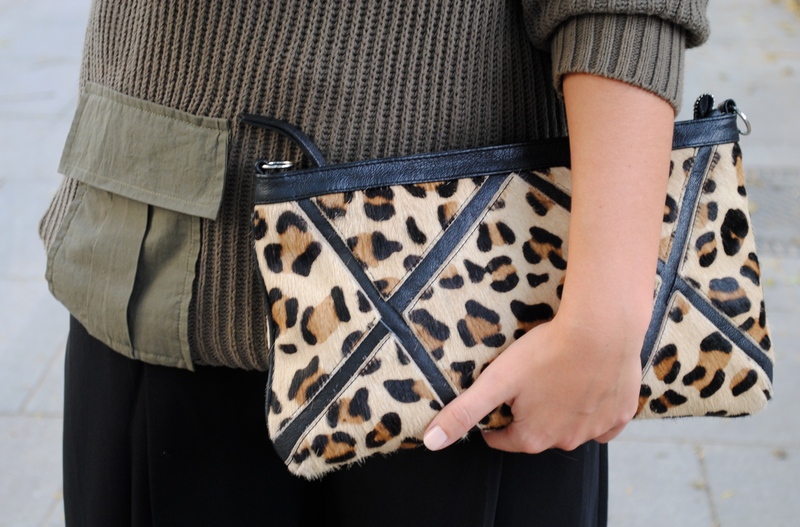 They´re very simple and adorable and spice up a little my look! I combined it with a girly outfit that has a lot of layers. The first layer is a light grey skater dress from Asos. I added some more layers with a white tank top, a cream sweater and a moto jacket. On my feet I´m wearing some chunky heel boots with some trendy tights with polka dots. What do you guys think? Buenos días! No soy una gran fan de la bisutería. No suelo llevar mucho accesorio normalmente, pero a veces siento que mis outfits necesitan algo y ese algo suele ser un collar o una bonita pulsera. Me encantan los anillos, pero no me gustan los pendientes o las pulseras grandes, no van con mi estilo. 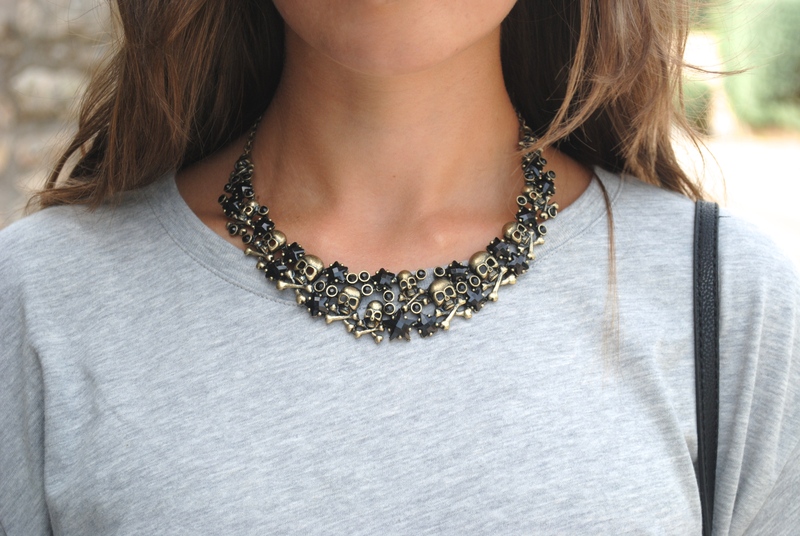 En cuando a los collares, me gustan grandes y llamativos cuando son una pieza de tendencia o finitos y simples para piezas más clásicas y atemporales. Esta vez he elegido tres collares de cadena fina de Primark. Son muy simples y adorables y le dan un toque alegre al look! 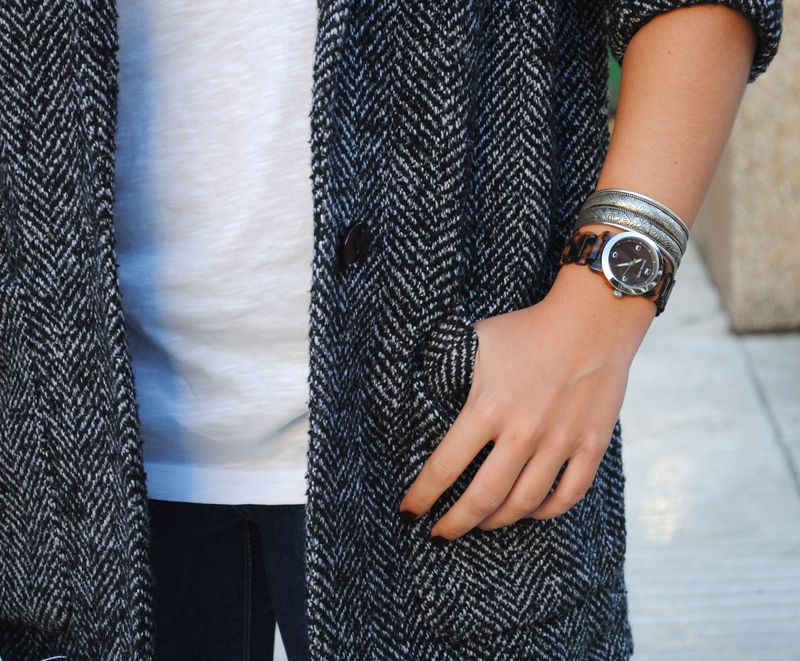 Los he combinado en un outfit femenino con muchas capas. La primera capa es un vestido gris claro tipo skater de Asos. Encima llevo una camiseta blanca, un sweater en color crema y un perfecto de cuero. En los pies llevo una botas de tacón gordo que he conminado con unas medias de dibujo de puntos. Qué os parece chicos?